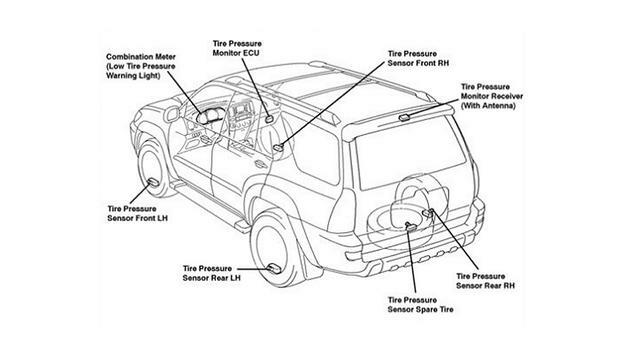 Step by step guide on how an automotive tire pressure indicator system works, this information pertains to most systems. Step 1 - Sensors are used to monitor individual tire pressure in all tires including the spare. If air pressure in any given tire goes below or above minimum or maximum requirements the warning light will illuminate. Step 2 - Each sensor gives feedback data, which is then transmitted to the central controller where calculations are performed. 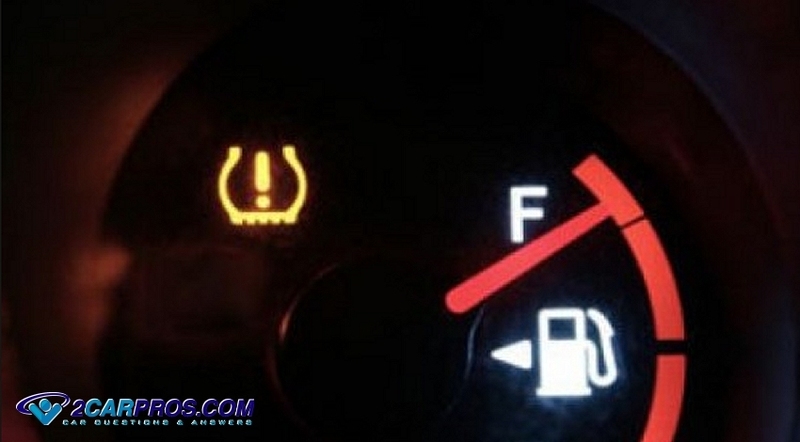 The LTI (low tire indicator) was devised to help prevent accidents due to low tire pressure. 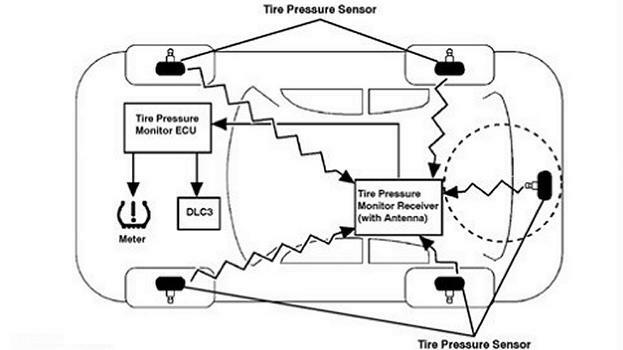 A receiver picks up the signal from the tire transponder and then sends the information across an information bus. These processors then compute information and send a signal to an on board diagnostic center which includes a warning light located on the dash. 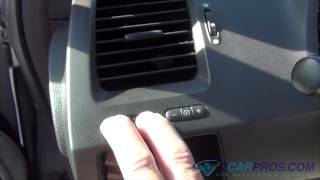 Some vehicles include integrated remote service like OnStar, that can send a message to a phone when the low tire inductor warning system has been activated. 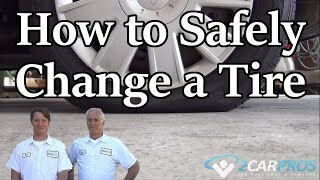 If the air pressure in all tires is correct including the spare tire and the indicator is still on, a tire sensor has probably failed, or the system requires a reset procedure. It is best to check air pressures after the car has been standing for a few hours on cool pavement. To locate the air pressure specification consult the driver's door jamb sticker, or consult the owners manual. When replacing a tire or normal tire services (flat tire) the air pressure sensor can be damaged.